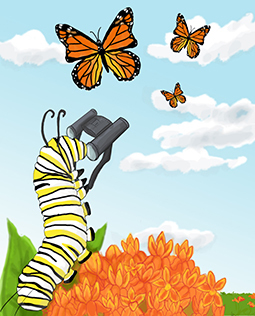 Welcome the monarchs by planting milkweed!! 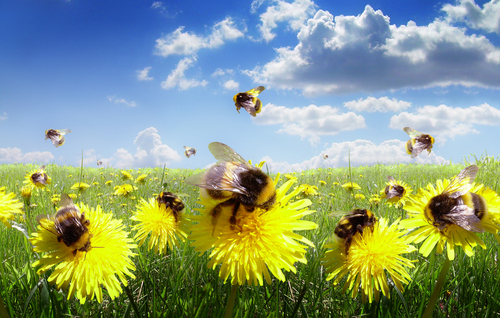 Bee and Monarch butterfly populations are in decline. Now, more than ever, it's imperative to recognize the importance of native grasses and wildflowers on our roadsides and protect that natural habitat. 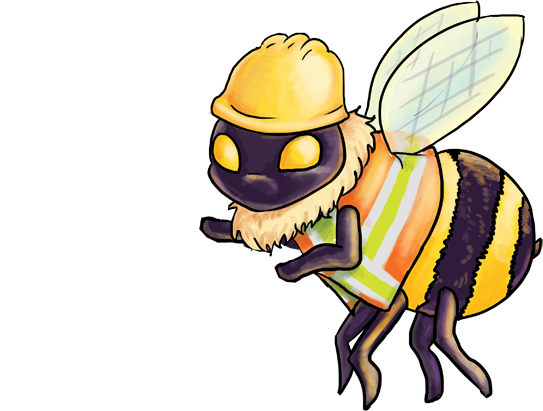 About three-quarters of the world's flowering plants and many of the food crops eaten in North America depend on pollinators. 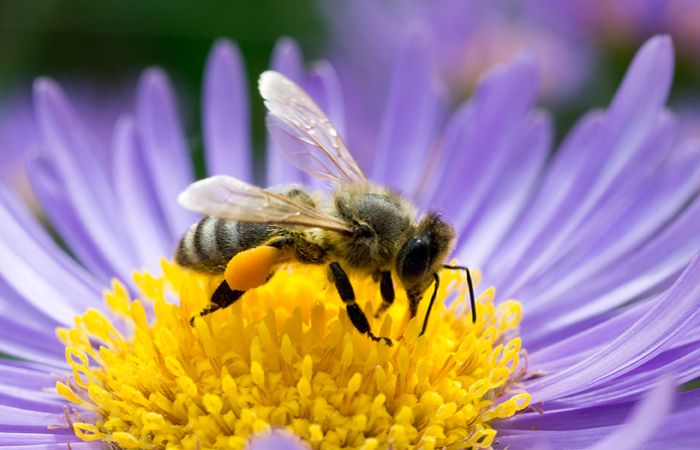 No pollination would mean no apples, blueberries, almonds, melons, pumpkins, CHOCOLATE or COFFEE. 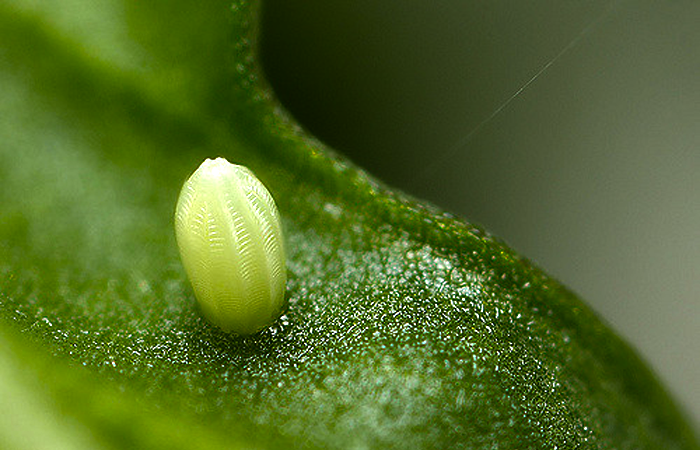 In the U.S., pollination produces nearly $24 billion worth of products annually. KDOT partnered with the Kansas Department of Wildlife, Parks & Tourism (KDWP&T), the Kansas Wildflower Society, the Kansas Biological Survey, Audubon of Kansas and the Kansas Turnpike Authority to produce the Kansas Wildflowers, Native Grasses & Shrubs brochure. 315,000 copies were printed and distributed. 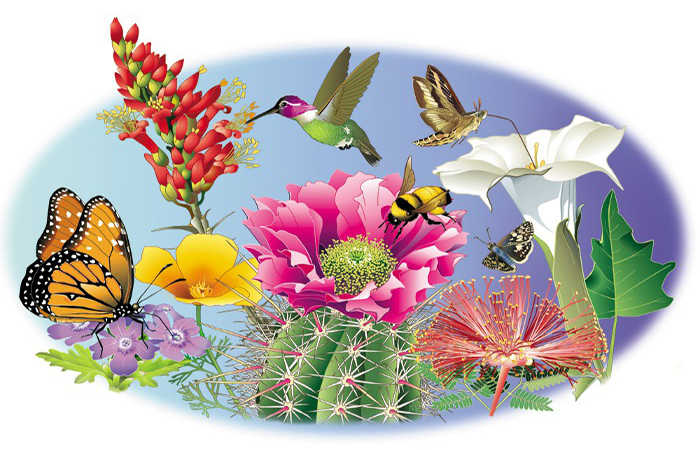 The brochure/poster depicts KDOT's efforts to improve the environment and beautify Kansas roadways by restoring the right-of-way to native habitat. KDOT became part of a joint partnership between the KDWP&T, Kansas Department of Agriculture, and the Audubon of Kansas. The goal of this partnership was to help protect and preserve the natural beauty of native plant species that are found in our state. New seed mixes and erosion control practices were developed to more closely represent and protect vegetation naturally found in that particular region, benefitting wildlife and pollinating insects. KDOT and partners from conservation groups and the KDWP&T formed an Aesthetics Task Force to develop a better way to manage the more than 150,000 acres of state-owned highway right-of-way. What emerged was a roadside management policy that not only saves money and fuel, but also enhances roadside beauty. Some of the important changes included updating KDOT's mowing policy limiting frequency and timing of mowing to allow native wildflowers and grasses to set seed, spot spraying of herbicides rather than broadly applying chemicals and adding a more diverse selection of native grasses and wildflowers to our seed mixes. 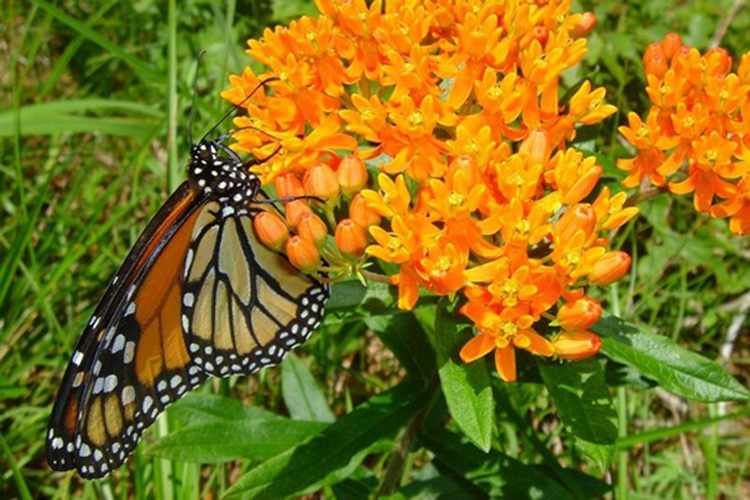 KDOT, along with five other state DOTs and the Federal Highway Administration, joined the Monarch Highway effort by signing an agreement to improve and protect pollinator habitat along the I-35 corridor, a key migratory fly-way for the iconic Monarch butterfly, whose population is being threatened with becoming endangered. 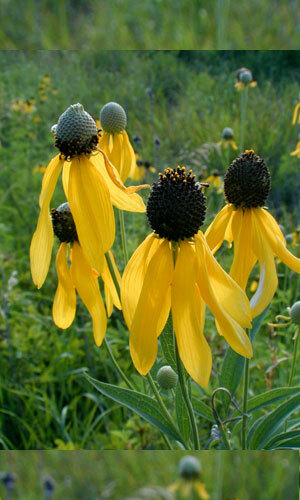 KDOT again revised its wildflower mixes to include a greater number and variety of native wildflowers. 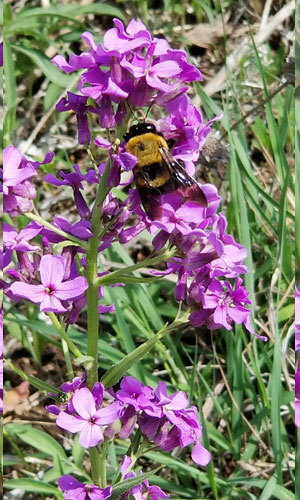 This will enhance roadside beauty and provide beneficial nectar sources for pollinators such as bees, butterflies, beetles, moths and even hummingbirds. Providing wildflower-rich habitat is the most significant action we can take to support pollinators. 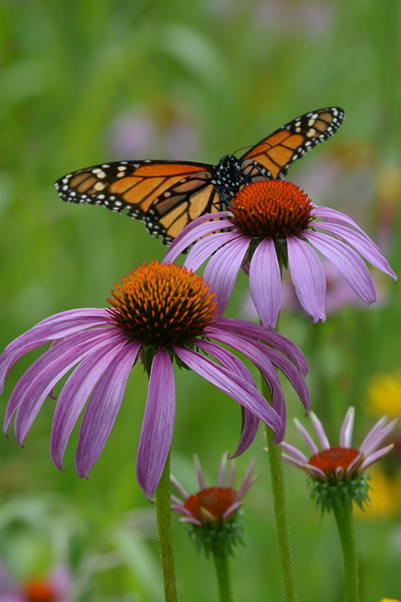 Native plants, which are adapted to local soils and climates, are usually the best sources for nectar and pollen for native pollinators. 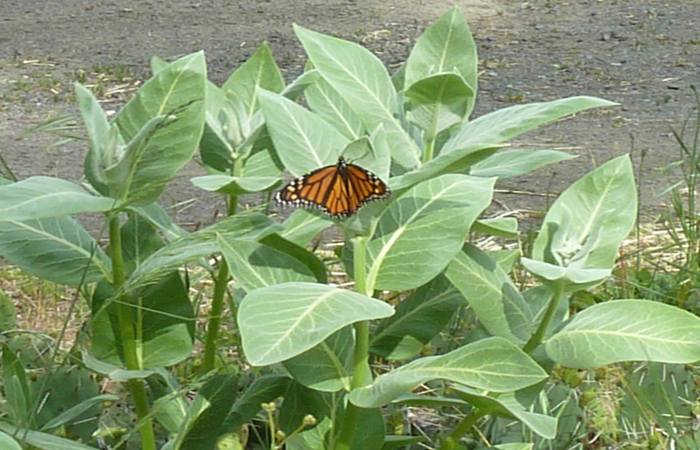 KDOT received a grant from the Monarch Watch and planted 1196 milkweed plants consisting of Common, Butterfly, Whorled and Green Antelopehorn Milkweed. Staff from the Bureau of Right of Way/Headquarters and the Ottawa sub-area office completed the project. This monarch habitat restoration project is located at the interchange at US-59 and I-35 east of Ottawa and covers approximately 36 acres. Once established, this area will become a haven for Monarchs and many other pollinators and will provide crucial habitat for the migrating Monarch. KDOT, through a grant from the Monarch Watch, planted 2,000 native wildflower plugs consisting of 32 individual species. Staff from the Bureau of Right of Way/Headquarters and the Independence sub-area office completed the project. This pollinator habitat project is located at the Montgomery County Rest Area at the intersection of US-400 and US-169, northeast of Independence, Kansas. The plant beds are easily accessible to those who utilize the rest area by sidewalks that meander through the area. Soon, visitors will be able to enjoy colorful, informational signage along the pathways as they enjoy a leisurely walk through an abundance of colorful wildflowers.